Although the popular FICO credit score wasn’t introduced until 1989, consumer credit information has been collected and sold by various companies for over 100 years. These consumer reporting agencies are used by creditors large and small to make important lending decisions, including whether to approve a particular credit application. Today, while your personal credit information is gathered, stored, and analyzed by a number of agencies, the landscape of consumer credit data is dominated by the three major bureaus: Equifax, Experian, and TransUnion. Your credit scores are calculated based on the information provided by one (or all) of these three agencies, including the FICO credit scores used by most major creditors. So, why three bureaus instead of one? The same reason we have multiple brands in nearly every industry: capitalism. While consumer credit agencies are heavily regulated by government and law, the major bureaus aren’t actually government entities; they are private companies. This means each agency operates in its own way, with separate structures and business goals. The existence of each bureau as an individual company is also the reason why every consumer should regularly check all three of his or her credit reports, rather than limiting credit check-ups to a single report. Essentially, since the three bureaus are independent bodies, the credit report generated by each bureau may contain different information. Part of this disparity is due to the fact that each agency will have its own methods and partners for collecting information, including the purchase of public record information, such as tax liens and judgements. More important — and more diverse — than the information sought by the agencies is the information actively reported to each agency by outside parties. Rather than hounding thousands of creditors for updated information on its millions of consumer profiles, credit bureaus rely on each company to report that information. In fact, the vast majority of the data collected by the credit bureaus is actually reported to them by debt collectors and creditors, including banks, credit unions, credit card issuers, auto lenders, mortgage providers, and retailers. However, creditors are under no real obligation to report that information to any of the credit bureaus, let alone all three of them. This means you may have accounts that show up on a single credit report, but not the others — or on all but one. 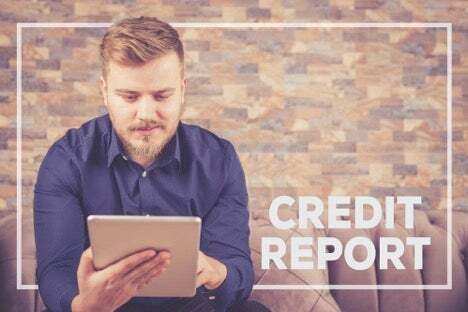 This can be particularly important to those attempting to rebuild credit, such as after completing the credit repair process or undergoing a bankruptcy discharge, as only information actually reported to the bureaus will help build your credit. For example, credit cards for bad credit can help rebuild your credit when payments are reported to the credit bureaus, but not every issuer will automatically report to all three bureaus. Furthermore, it’s not only accurate data that can show up on some, none, or all of your credit reports; erroneous, outdated, and unsubstantiated information reported to the credit bureaus will show up, as well. And if you only check one credit report each year, you could have all kinds of misinformation on the two you neglect. To make matters more convoluted, future creditors could use any of the data from any one of the bureaus — or two, or all three — to determine your creditworthiness. This means you have a better chance of a creditor pulling the two reports you don’t check than the one you do. Put simply, maintaining all three of your credit reports is the only way to ensure that the credit information used by future lenders is accurate. At the very least, all consumers should review all three of their credit reports once a year, which can be done for free online at annualcreditreport.com. Contrary to popular belief, checking your own credit won’t hurt your credit score. Additionally, any mistakes, such as spelling errors or fraudulent accounts, should be dealt with immediately by disputing the account with the credit bureaus. You can do this yourself, or you can hire an experienced credit repair company to handle the process on your behalf. BadCredit.org has rated the best credit repair companies to help you get started with the process. It’s especially important to perform regular checks of your own credit report while trying to rebuild credit, after credit repair or a bankruptcy discharge, or if you’ve been the victim of identity theft. Always double check that erroneous accounts have been properly removed and follow up with any necessary organizations to ensure the accuracy of your reports. Learn how you can start repairing your credit here, and carry on the conversation on Lexington Law’s social media platforms. Like and follow on Facebook and leave a tweet on Twitter. This entry was posted in Credit 101 and tagged credit bureaus, credit report, creditors, Equifax, Experian, FICO, TransUnion. Bookmark the permalink.